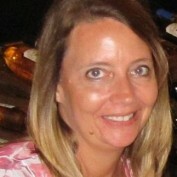 I am a dental hygienist and website creator of www.positivemindtoday.com. I have a passion for teaching self-help and self-improvement. I believe anyone can have what they want and become anyone they want to be. They just need the tools to figure out how. If I do nothing more than help one person achieve their goals, then I have done what I have set out to do. My wish is for happiness and peace for every person in search of it.